Vice Chancellor for Student Affairs and Campus Life Michael Gargano has resigned, announced the University of Massachusetts early Thursday morning. He will be replaced on an interim basis by associate chancellor Esther Terry. Since he was appointed in 2003, Gargano has been a lightning rod for criticism of the UMass administration’s more unpopular policies, including police in dorms and the University’s response to rioting after sporting events. A recent candidate for the position as president of Westfield State College, Gargano will officially step down tomorrow. The Daily Hampshire Gazette and Springfield Republican reported online Thursday that Gargano will follow former UMass Amherst Chancellor John Lombardi to Louisiana State University, where Lombardi is now President. 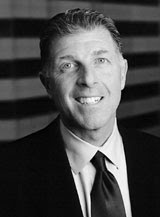 Lombardi left UMass in 2007, and was replaced by interim Chancellor Thomas Cole. Hey, great job guys. Great way to start of the blog.